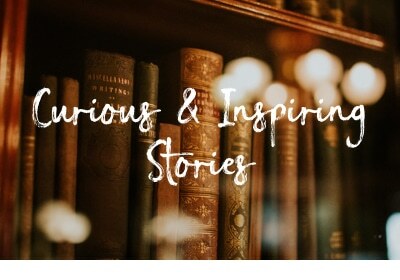 If you’ve ever read ‘The Life of Pi ‘ you’ll know that a good story requires certain ingredients – a great opening line, an intriguing lead character, a twist in the plot and for me, a touch of fantasy mixed in. I loved that book for so many reasons although initially I felt frustration when the ending didn’t give me that feel good sense of closure. It soon dawned on me though, that the whole story was about ‘belief’ in all its forms and that it’s this that allows us to choose whichever ending we prefer in order to make the story our own. In case you think I’ve completely lost the twist in my plot, I’ll get on with introducing you to a homeowner who knows all about creating a truly great story. Get out of the way, because sweeping in like the fabulous heroine of an epic novel is my next interiors Style Warrior. Her name, the subject of so many well leafed classics, is Kate – the one and only Kate Learmonth aka ‘Cowboy Kate’! 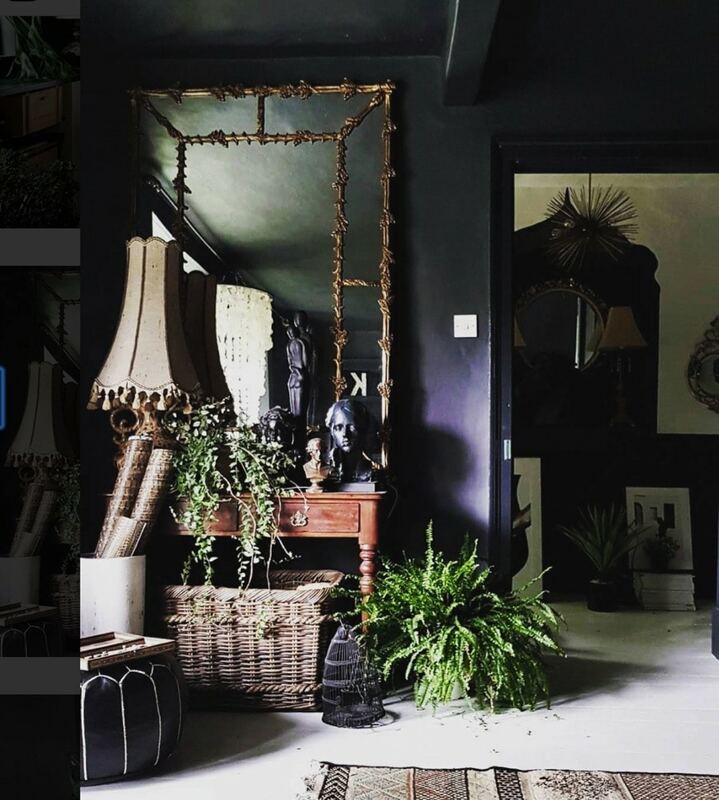 Kate’s Instagram feed was another of the first interiors feeds that I followed as she was the third founding member of the super popular #styleitdark hashtag along with the lovely Jazzierere who featured on this blog a while back and of course the super creative Nadia Singleton another of our Style Warriors. 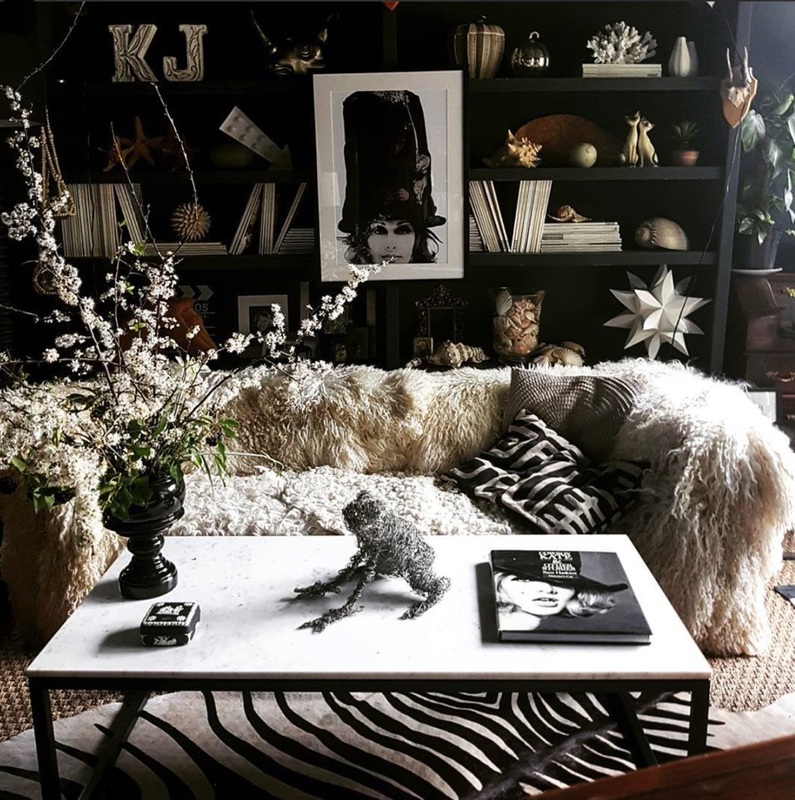 Her loyal instagram following is testimony to both her incredible home and her unique ability to tell a story through her truly groundbreaking interior decor, enchanting styling and the entertaining captions that accompany each image. You’re immediately drawn in and like any great novel, play or film, when you visit her feed you come out feeling like you’ve just visited a different world. In fact, it’s my ‘belief’ (while we’re on the subject of belief) that you wouldn’t actually enter her home through a plain old front door – oh no! 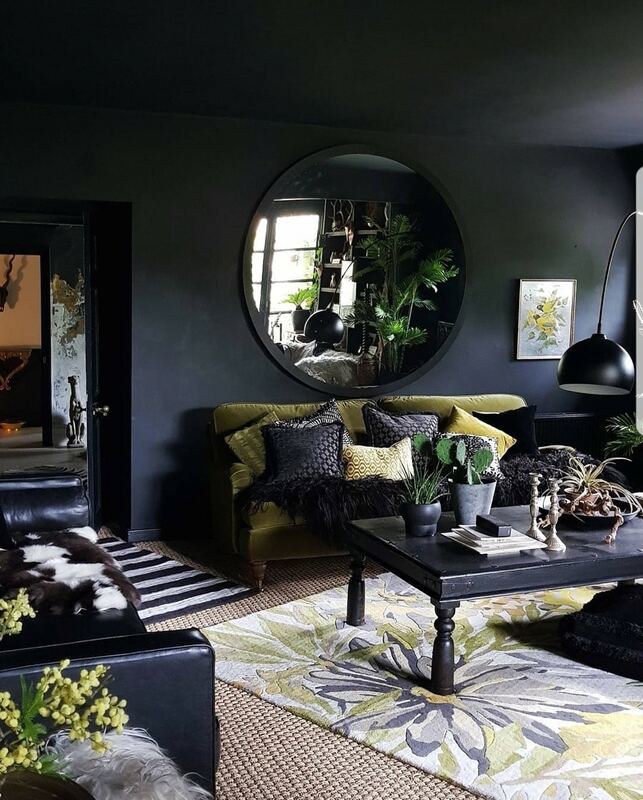 You’d wriggle and wiggle and drag yourself through that massive circular mirror in her living room which is actually a time portal (now you know) and find yourself in her living room, eyes wild with wonder and disbelief. A little too much drama for a Sunday morning? Well belt up and put a drop of something stronger in your coffee because this is just the beginning. Kate is a fearless pioneer when it comes to home decor. 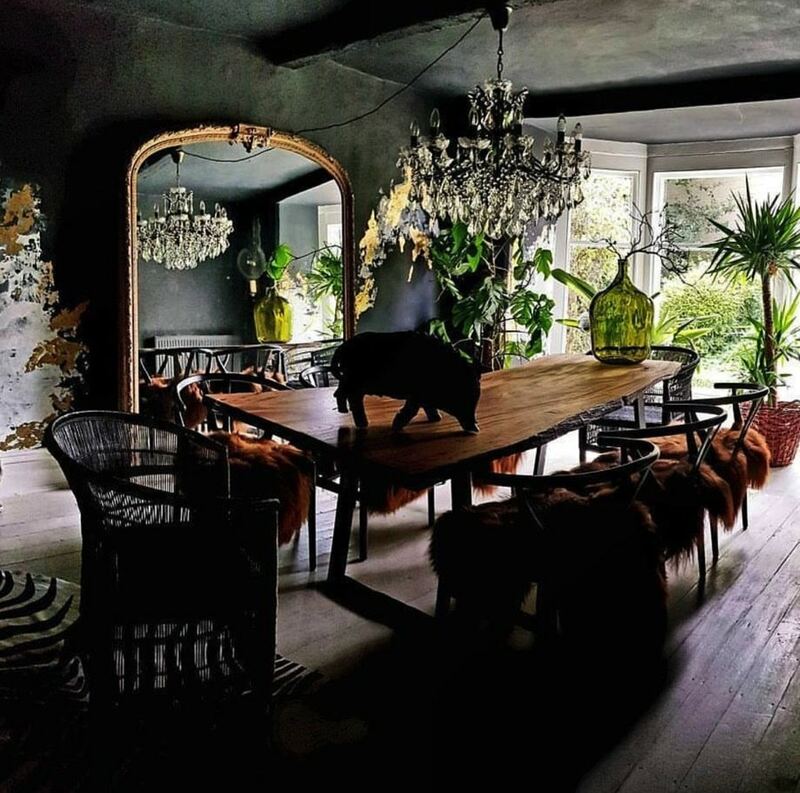 Her home is a theatre of sorts, with its signature soft black 408 year old walls as a backdrop, an unusual layout – the result of changes and additions through the centuries of architectural styles – and otherworldly feel. Peter Pavo the larger than life peacock – I’m coming for you Peter! At every turn there are bold as well as fine grain patterns that make your eye prance and pirouette across the room, stopping in its tracks every so often to take in unexpected statement artworks, outrageous (in the best sense) wall finishes, dramatic lighting and sculptural props (her latest addition being a life size stuffed peacock named Peter Pavo, which I hope to pilfer one day). 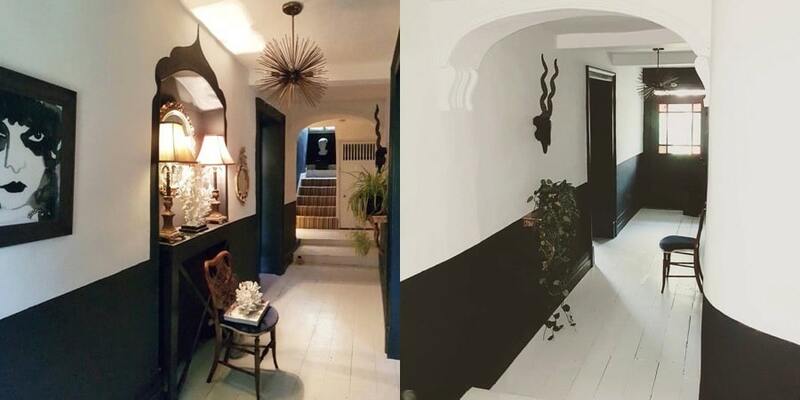 Kate is another one who rustles up almighty interior transformations – literally overnight. Her witching hour for this is often while the rest of us are snoring big Z’s at 3am. Half a bottle (I’m being modest with this) of Muriel later and she’s produced a spectacular full scale floor to ceiling mural – freehand, ‘making it up as she went along’. But theatrical as it is, this home is not ‘showy’ in an uptight self conscious way. 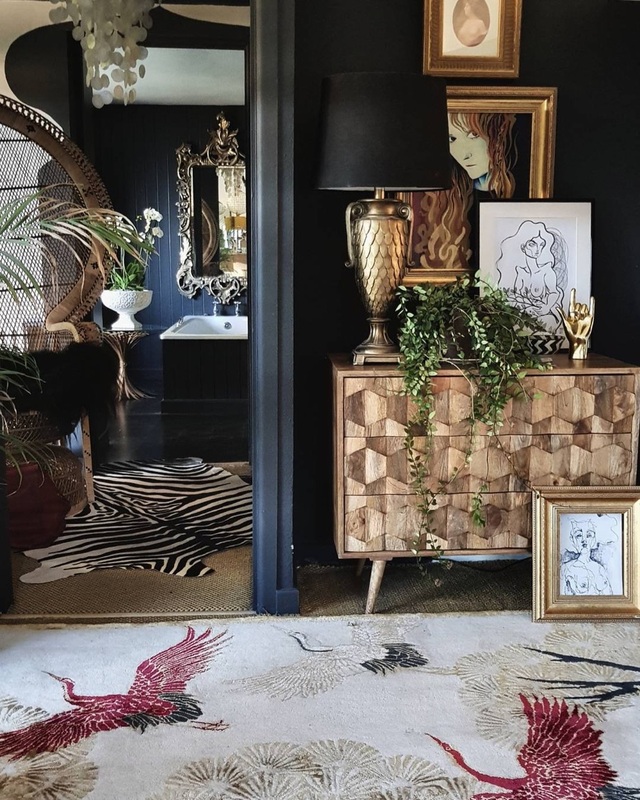 The well chosen pieces of antique and classic furniture and flashes of gold in the mirrors and detailing give it an air of vintage Hollywood glamour – but a well travelled style warrior also brings home other prizes. 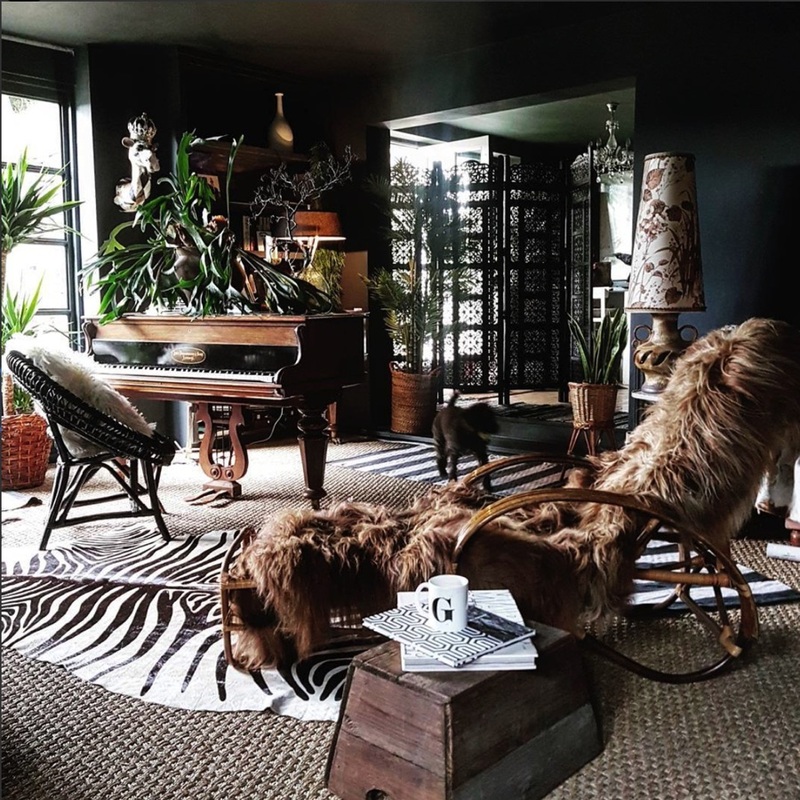 The tribal rugs, boho weaves and unusual crafted artefacts placed casually on tables and hung on walls give it a cool bohemian vibe that chill the whole place out. Kate’s sense of humour comes across in her quirky styling that creates twists in her ‘story’. Hi I’m Kate! Fourteen years ago we moved to a peaceful, working village in the Yorkshire Dales, and discovered that it was famous in the farming community for FAT SHEEP, a type of animal which is named for its HUGE hind quarters …..and I immediately felt right at home. I feel so very fortunate to have landed in one of the most beautiful parts of the UK and I’m hoping it will be our forever home. Before that, I’ve travelled and lived in lots of different places both here and abroad and for most of my life, have worked in some kind of performance related or creative type of role. But this wasn’t always the case. Quite the rebel at school, I abandoned my sixth form studies and ran away to the gold paved streets of ‘The Big Smoke’ to pursue a career in fashion modelling. Whilst strutting the catwalks for some years, I was based in Saudi Arabia where my family worked but my life got a bit out of hand and feeling that I needed some grounding, I returned to the UK where I got a ‘proper’ job selling dodgy second hand appliances in our local Electricity Board Shop. After a month or so, during a particularly arduous sales demonstration of a top speed ‘MARK 2 Top Loading Spin Dryer’, I was spotted by a talent scout who catapulted me into a top job for a highfalutin ‘Multi-National’. Here, I enjoyed eight years working as a presenter and managing a ‘State of The Art’ Experience Centre. 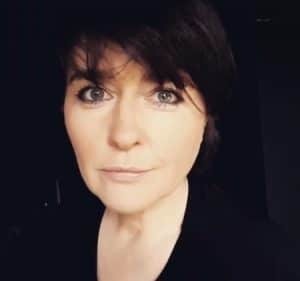 It was during this time that I met my husband and not long afterwards my son George arrived so I decided to spend a few happy years as a full time ‘stay at home’ Mum before returning to part time work later. My obsession with Interior design happened when I was quite young. I was always arty at school and have been heavily involved in AmDram from an early age so I would always help with designing and painting Theatre sets and propping them out etc. So it was a natural progression really. When I bought my own home at the age of 22, I immediately started stripping it down to it’s bare bones and then enjoyed putting it all back together again the way I wanted it. 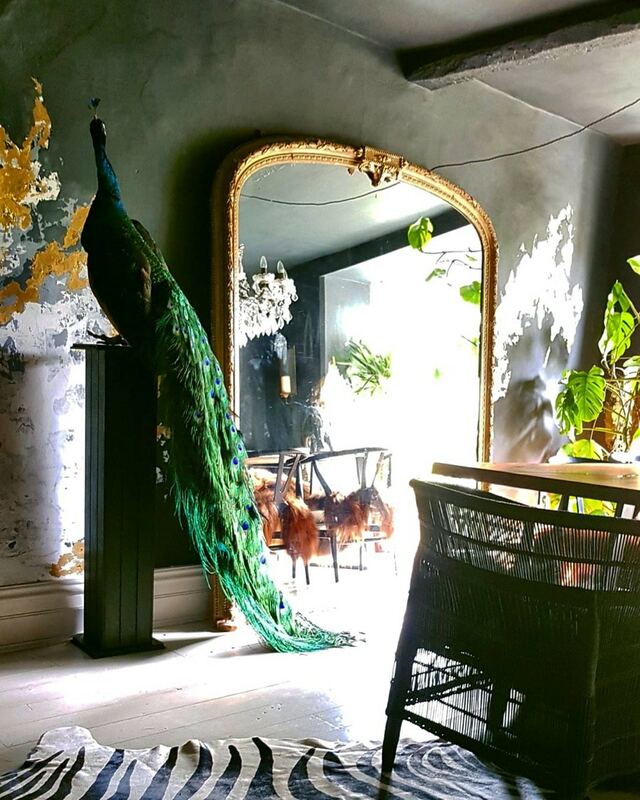 This would often include experimenting with different wall treatments and hand painted murals which is one of my most favourite aspects of the decorating process, not least because it creates maximum impact with minimum outlay. I was absolutely thrilled a couple of years ago to discover hashtags on Instagram. I’d been using the social media site as a personal family photo album for a few years, but one day I posted a picture of my home and used a hashtag for the first time. Voila, I very soon discovered that there was a whole online world full of interior nuts just like me. Our online interiors community has grown immensely since then and I feel very fortunate to be rubbing shoulders daily, with such talented and inspirational people. Many ‘real life’ friendships have been born from it too and if it wasn’t for Instagram, I would probably not have started my own business selling sheepskins (which happened purely by accident and which I thoroughly enjoy!!) and nor would my house have been seen and selected by Rockett St George to appear in their new coffee table book ‘Extraordinary Interiors’. I feel very lucky indeed. I’ve been subscribing to various Interior mags since 1981 and still have almost every single copy. 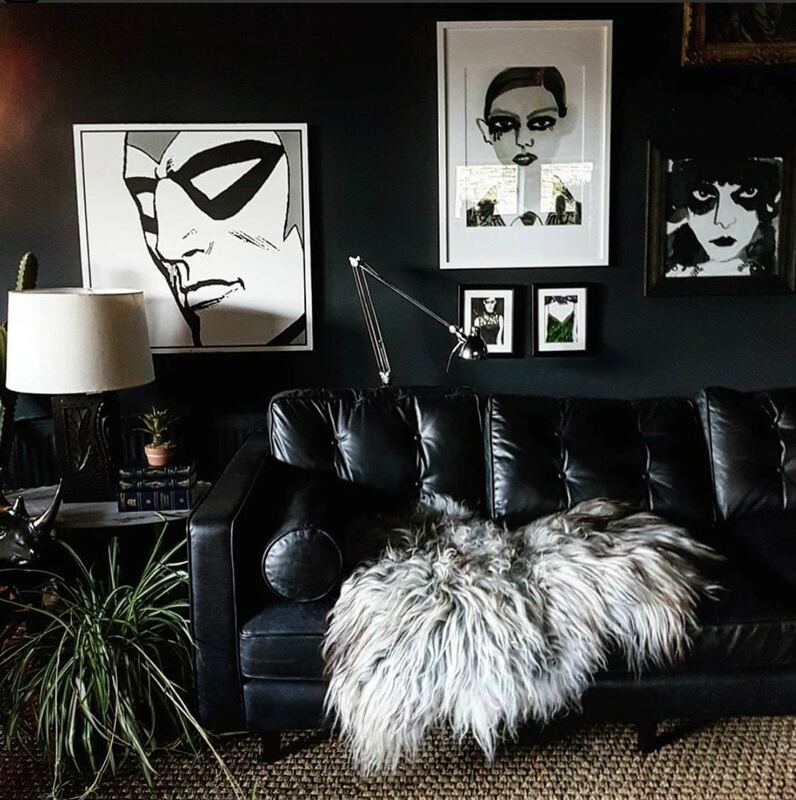 In the early days, I definitely rolled with the current trends and fashions which featured, but since moving to my current home, I’ve really found a personal style that suits me best and which I feel confident about wanting to develop. My style is dark and dramatic (but definitely not gothic) and with a touch of faded grandeur which I think suits my 408 year old home. It’s furnished mainly with things I’ve picked up from various places over the years and consequently hold sentimental value. There aren’t many nooks and crannies I can peer into without being reminded of a happy event or holiday etc and of course I’m still enjoying adding to that collection. Instagram continues to inspire me but I also follow many art blogs and try to visit galleries too whenever I can. 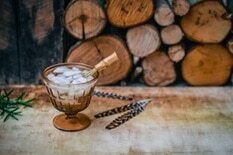 I’m inspired largely by nature too and love using natural materials to furnish and decorate my home. My husband can usually be found peeping over the top of his daily paper and rolling his eyes at me every time I return home from a dog walk because I’m generally dragging behind me, a filthy mud laden log that’s taken my fancy or half a dead tree or something. We recently made a dining table from a slice of Elm Tree that we’d sadly had to have cut down in our garden some years ago. 2. 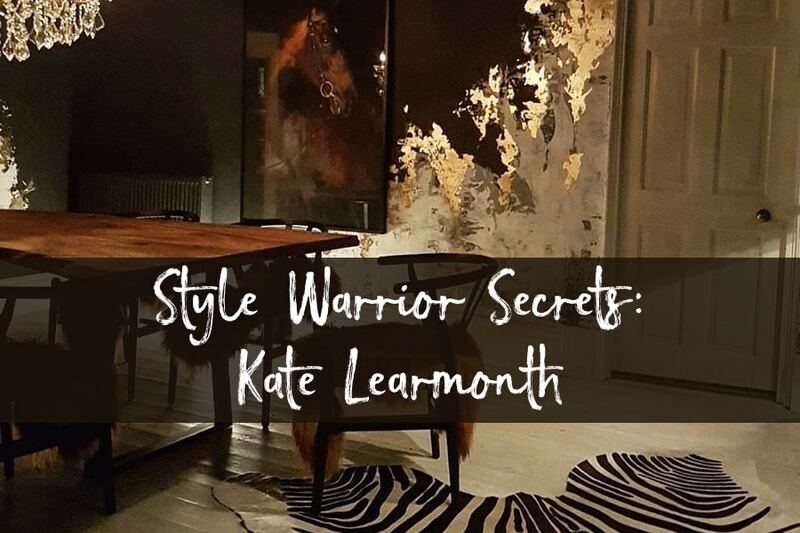 What’s a ‘typical’ week in the life of Kate Learmonth? 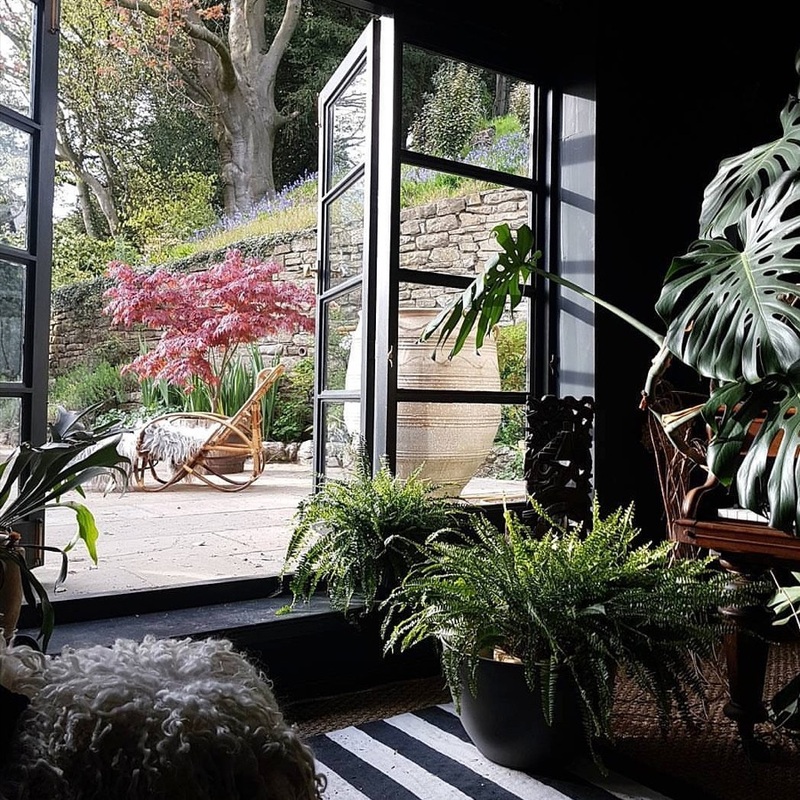 For a brief spell I worked as PA to one of the world’s most renowned garden designer’s and 6 times Chelsea Gold winner, Arabella Lennox-Boyd at her home, Gresgarth Hall in Lancashire, where she has 16 acres of beautiful show garden. It was one of the most inspirational period’s of my whole life but I was surrounded by so much beauty that I couldn’t concentrate on the job in hand. I was absolutely rubbish at it and soon felt it incumbent on me to abandon her in favour of a more suitable candidate for the job. Following my voluntary redundancy and feeling hugely inspired by this formidable woman, I threw myself into creating a micro Gresgarth garden of my own, using the skills and knowledge I’d gained during my time there (mainly from observing her 5 full time gardeners when I should have been working). Anyhoo, I’m going off on a tangent and ‘doing a Ronnie Corbett’. What I’m trying to say is, that I once had a beautifully manicured and well cared for little garden of my own, which gave me the greatest pleasure to work in every single day and my home was always clean and tidy. But since I started connecting every day with our online, interiors-mad community AND started a business, I’ve let it all slip. Looking out of my windows now, I can see weeds the size of triffids and a big mish-mash of brambles invading the roses and my house, outside of the little Instagram squares, is an absolute tip! These days, instead of sharpening my secateurs, I spend some part of each morning scrolling through Instagram and talking to some pretty goddamn awesome people. It’s FANTASTIC!! But some aspects of my once daily routine are neglected. So how do I juggle my business/family/home/instagram you ask? Not very well! I’m not super woman by any means. 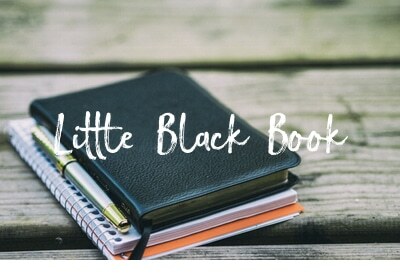 There’s no formula to it whatsoever and my days are more than a little bit crazy but balance is achieved by not getting stressed by the things I don’t have time to do and concentrating on the things that matter most. Getting your priorities in the right order is key I think. And my biggest priority are my customers. I have a real obsession about delivering a quality customer service. Go to America and you’ll see how it’s done properly. In Britain, generally speaking, it’s practically non existent and I strive in my own small way to redress that balance . So basically my day begins with answering emails and messages from customers and taking care of their orders and enquiries. 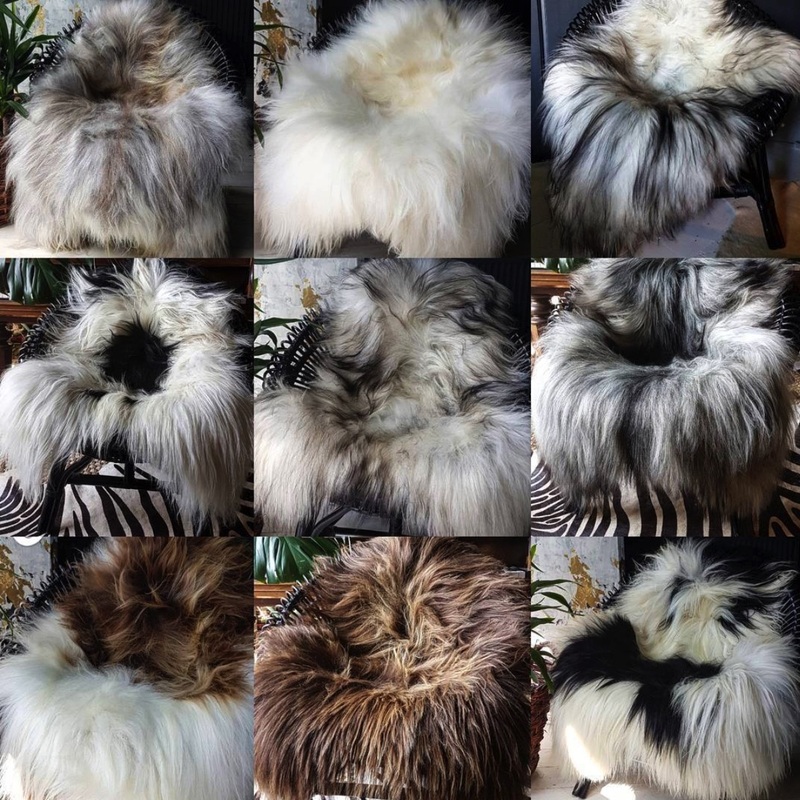 Just a small selection of Kate’s much sought after rare breed sheepskins in all their glory! Each sheepskin is brushed and branded and carefully packed ready for shipping. This can take up the best part of a day, after which I usually take my dog for a 2 mile walk, do some housework and start preparing dinner. Three days a week, I will pop up to select some new sheepskins from ‘Rustling Rick’ (who makes the best cup of tea in Yorkshire and keeps me up to speed on the latest village drama’s). My Interior projects are out of the frame until all of these jobs are done. They’re at the bottom of the priority pile I’m afraid. But more often than not, I wake up in the middle of the night with some mad idea for a new wall treatment or something and I just have to get up and start painting. I’m actually in the middle of working on a mural right now and most of it has been done whilst everyone is sleeping….everyone except me of course and my Insta pals in America and Australia. And that’s another great thing about Instagram! Whatever time you wake up, there’s always a friend to chat with and share ideas! Yee Ha! Anyway, yeah so it’s all a bit chaotic. The weeds in my garden are getting taller but the most important work gets done, and that’s all that matters. The rest ain’t going nowhere. Marchesa Luisa Casati immediately springs to mind. I became a little obsessed with her quite a few years ago after reading her biography. She is famously quoted as saying “I want to be a living work of art” and by golly she succeeded. 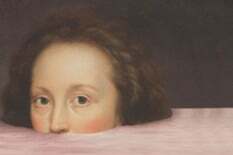 She was the subject of many paintings and sculptures, some of which she paid for herself because she had a wish to “commission her own immortality”. Classic. What a fascinating and extraordinary woman. Ok this is not related to the question at all but it reminded me of her and I do always find it really difficult to answer specifically on the subject of art without going off on a tangent or writing an essay. SO anyway where was I? Ok yeah, so what I was getting round to saying is that Art means the world to me. 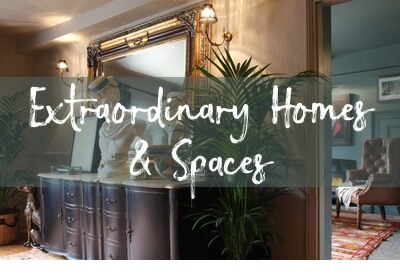 It sets my soul on fire, inspires my imagination and provides me with endless possibilities for creating my interiors. 4. 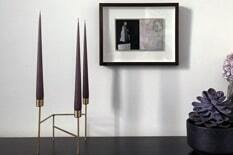 What’s your favorite piece of art in your home and why? Ok I’m going to be a tad unconventional with this because one of the most favourite pieces of art that I possess is currently winging it’s way from the depths of Norway and hasn’t even arrived in my home yet. It is an original painting by the multi-talented ‘Maren Ingeborg Grablomst’ of @villabetulablog called ‘Notice Resistance’. Apart from being a stunning piece of work, it represents a synchronicity of feeling and emotion which resonates at a deeply personal level during a particularly challenging time in my life. I also love my giant cartoon print of comic book hero ‘The Phantom’ which hangs in my office and to top them ALL, a self portrait painted by my son George when he was 5. It never fails to put a smile on my face however sad or serious I might be feeling. My inspiration can come from just about anywhere. 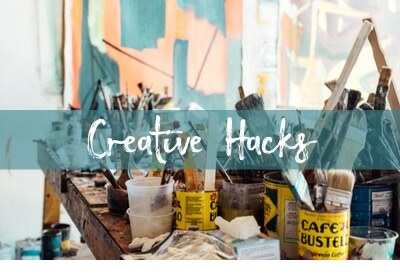 ; whilst walking my dog in the countryside, from a fashion editorial in a weekend supplement, an art blog or from my favourite social media sites and to be perfectly honest, I find Google is an amazing tool for finding just about any kind of inspiration you could need! Inspiration plants a seed in your head but I try really hard to think outside the box and use my imagination to translate it into something individual and personal. Quite often I haven’t a clue what I want to achieve but just set off with a paint brush in hand and let things evolve naturally. That’s exactly what I did in my dining room and I was really happy with the end result. 6. 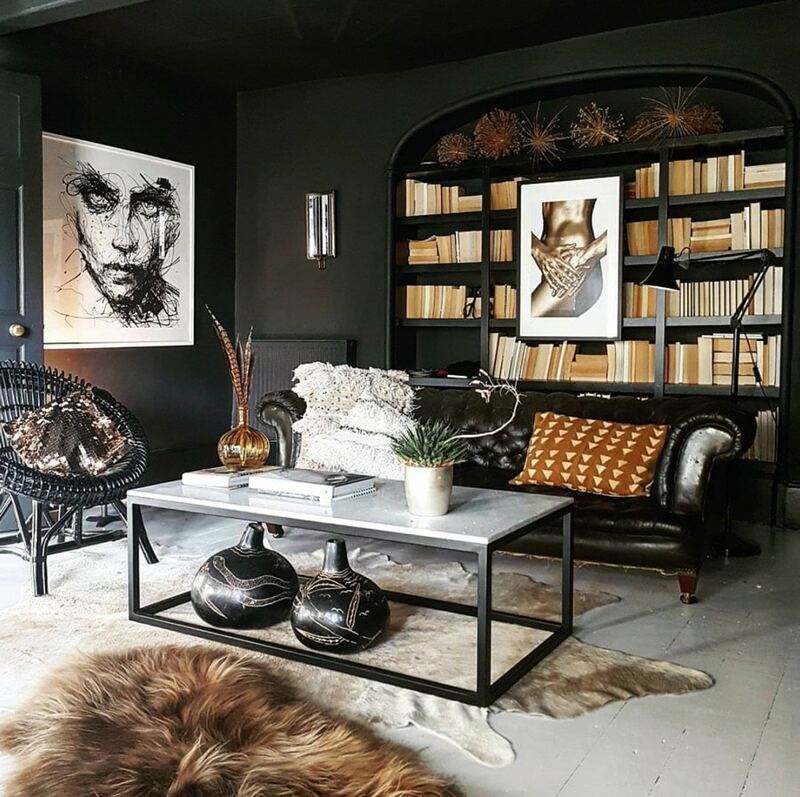 Tell us about your favourite creative interiors project within your home…..and to make us all feel better, what was your biggest interiors mistake? 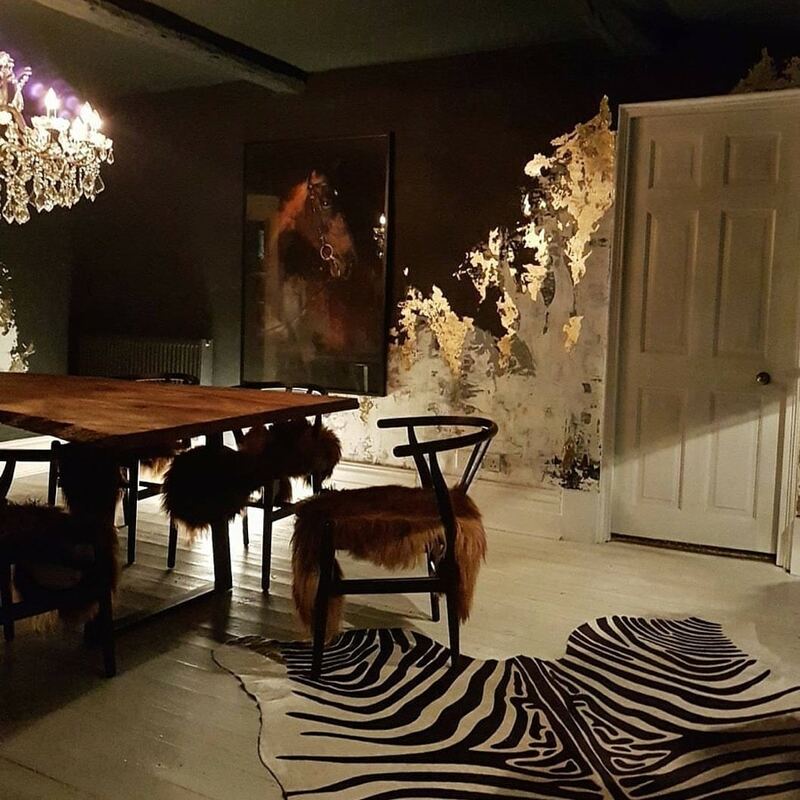 My favourite project was most definitely the wall treatment in my dining room. I had a totally empty room so didn’t have to worry about going wild with the paint application. I used two trowels simultaneously to apply it, one in each hand. VERY messy = tremendous fun. 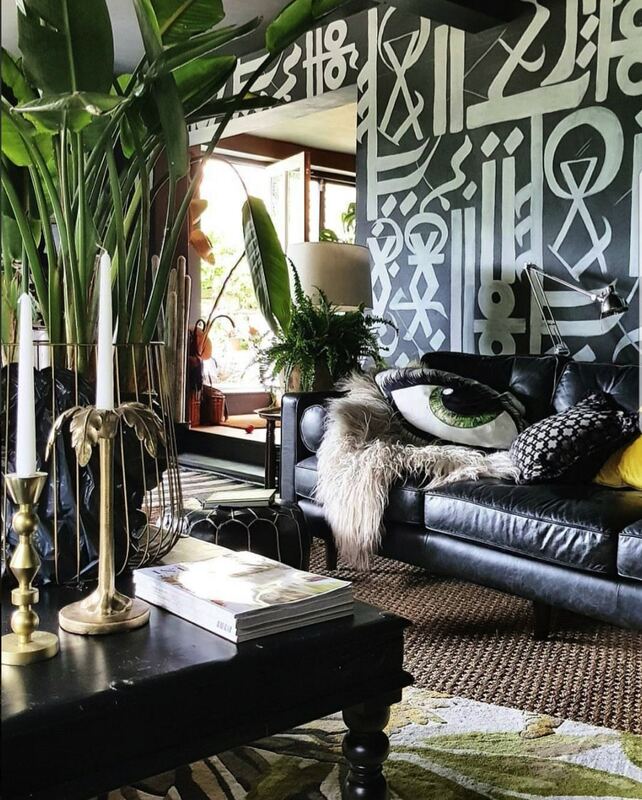 When I’d finished throwing paint on the walls and smudging it around a tad, it looked a bit flat so I added a bit of my favourite gold leaf here and there and voila, the walls came to life. I always light candles in the dining room when we use it and I love how the gold reflects the flickering light. It really creates such a wonderful ambience. My biggest mistake was completely gilding the large built in larder cupboard in our kitchen. I adore using gold leaf in my projects but this was just slightly over the top and it didn’t go down well with the Husband. He said he felt like he was eating breakfast in Tutankhamun’s tomb every morning or worse still, every time he opened it’s doors to get out the salt and pepper, that he expected Liberace to jump out. I’m sure you’ve heard this a trillion times but it’s all about layers for me and I’ve got to give my sheepskins a mention here! 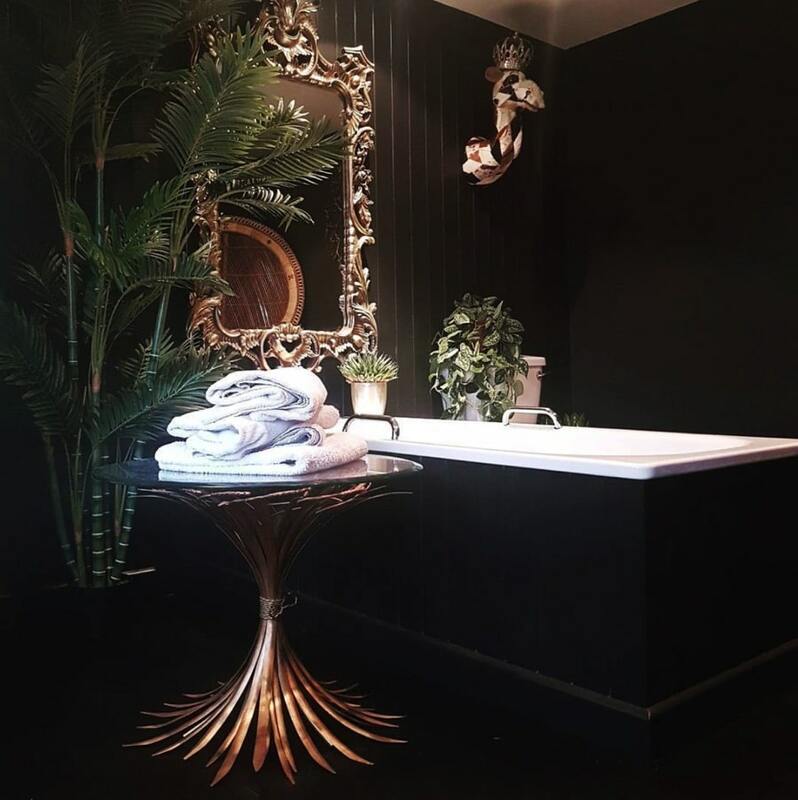 They really do transform a room and add a feeling of luxury to your pad as well as keeping you warm and looking fabulous, whatever your interior style. If you give them a brush from time to time, they can last for years too and so they’re a great investment. As you would expect, I have them everywhere, on sofa’s, chairs, the floor, my bed etc. I even layer different kinds of sheepskins, an Icelandic with an Albanian for instance to add an extra bit of pizazz. My interiors would be severely lacking without them. My best tip ever is to be bold and brave and don’t be inhibited by convention. Let your imagination run wild and go with your gut. Allow your personal space to reflect who YOU are and it will always bring out the best in you. There would be only two people at my Ultimate House Party. Me and Matt Damon. And I’m not telling you what I’d ask him to bring. 10. What’s your best virtue and worst vice that we should know about before we move in? Worst Vice: How long have we got? I agree fully Kate! No vices = no fun! Thanks so much for an absolutely fascinating insight into you and your home. 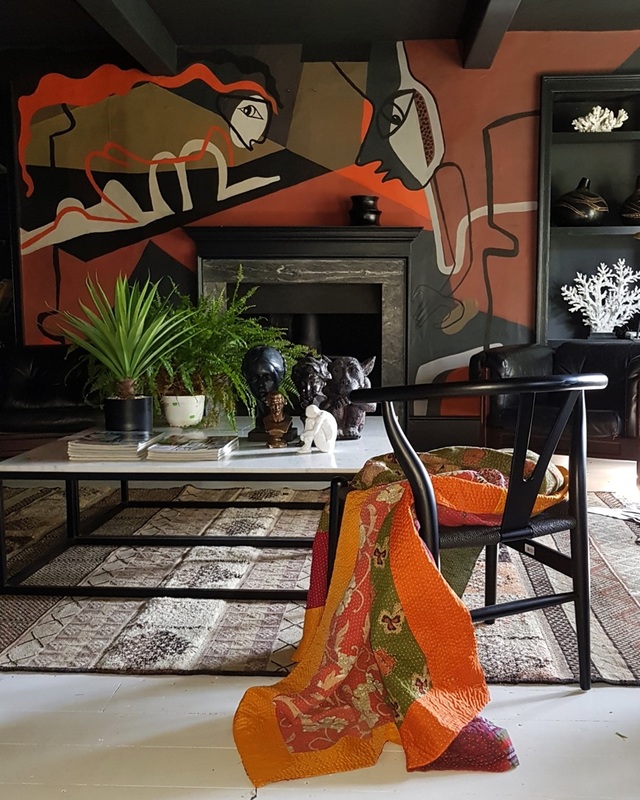 By using art in varying scales and forms, not just framed pictures on the wall, Kate has changed the whole experience of a room making the decor playful at the same time. So what about belief? Having confidence and belief is something that I feel makes a sound foundation for decorating our homes. 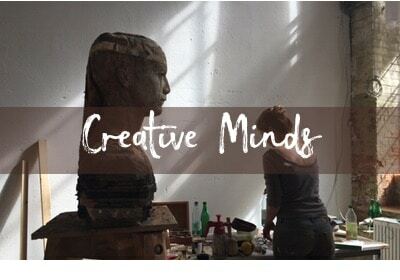 If we start with our life experience so far, then weave in our beliefs; beliefs about what’s important to us, beliefs about what we need a home to be, beliefs about what we’re capable of and of course, a little ‘make believe’, we create an intriguing visual story of who we are rather than a disguise. Before I go, I’d just like to point you in the direction of Kate’s own online shop, Cowboy Kate Outpost . 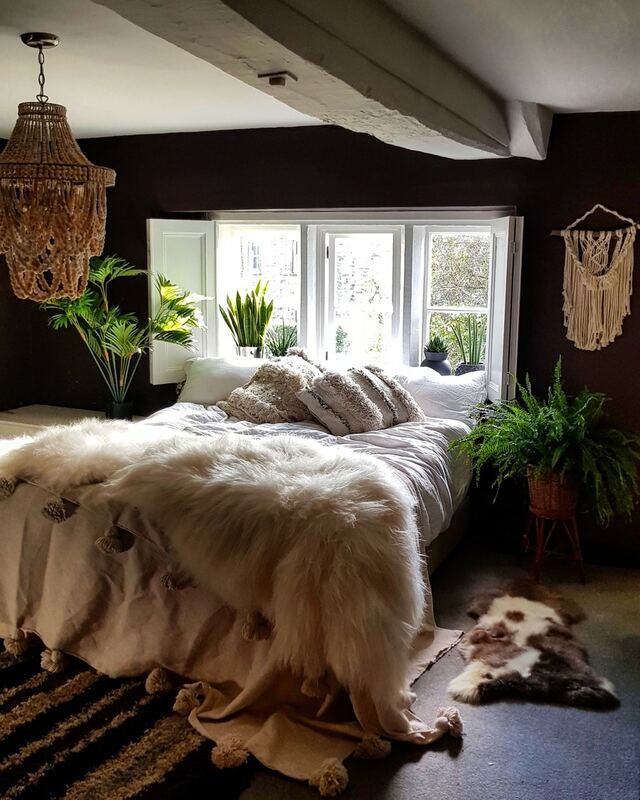 There may be many ‘furry beastie’ skins on the market but few as beautifully presented or of as high quality – besides, I know where I’d prefer to hang out when choosing my sheepie! *All images courtesy of Kate Learmonth. Thanks Pippa, so glad you enjoyed it!